You probably didn't notice this, but I wore a different pair of boots in each outfit I shared this past month. I noticed after the first week of outfits that each one featured a different pair of boots, so I decided to keep it going for the rest of the month and write one big post about my boot collection. I wouldn't be able to get through winter without my boots, and I have quite a variety to choose from depending on whatever the day, outfit, and my mood calls for! I currently have six pairs of ankle boots, making them the most prevalent type of boot in my closet. I probably wear them about 90% of the days that we get no weather (though I sometimes wear a couple of pairs if it might sprinkle but the forecast doesn't call for steady rain or snow). I have everything from taupe ankle boots (perfect for fall and spring, but I also wore them a couple of weeks ago) to cognac ankle boots to four different pairs of black ankle boots. What can I say? Black will always be the new black. ;) For all intents and purposes, they go with my entire closet! I'm obsessed with my patent leather chelsea boots and pull them out basically whenever I can. I love the velvet boots for added texture and when an outfit calls for something a little more fancy/luxe. I have a couple of pairs of old boots that aren't really in any specific category but that serve an important role in my closet. Both pairs are faux leather, so I often wear them when there's inclement weather but only when it's not freezing or too sloppy outside. They work perfectly well on dry days, too, though! I keep them around because I find myself still reaching for them when I don't want to think too much about how to finish an outfit. 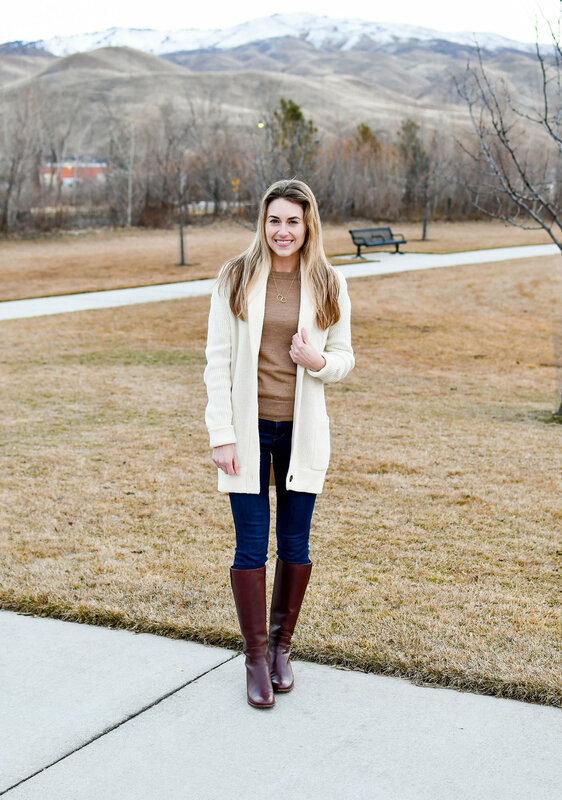 I've had the brown boots for years, and I keep them around because I adore the oxford style and the side zippers that allow for easy slip-on-and-go functionality on busy mornings! The black boots get plenty of wear, too, and the faux shearling lining adds some warmth—or fun contrast, if I opt to fold the tops down! 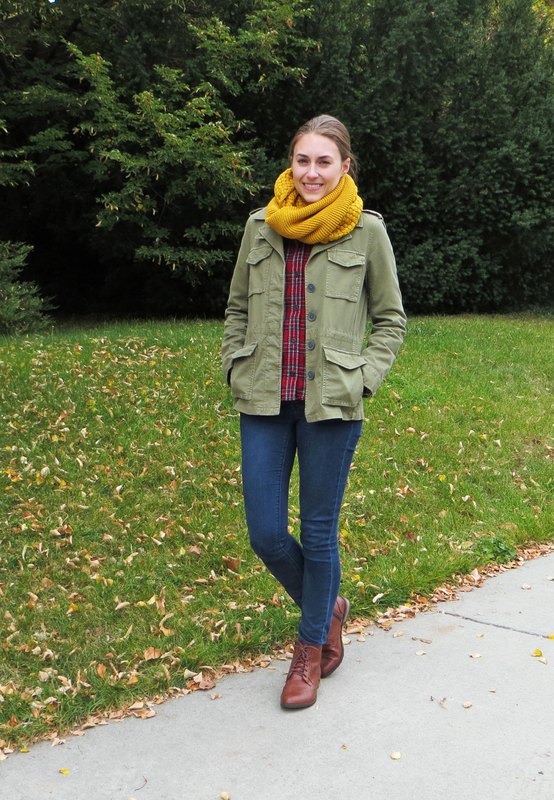 Even though tall boots aren't currently "on trend", I still wear my pairs fairly regularly. My brown tall boots get the most wear of the two pairs; they're perfect for adding an element of prep to an outfit. The lack of embellishments makes them timeless. My black boots have somewhat of a western flair thanks to its curved top. I'm still working on breaking those in; they don't have zippers, so they haven't been worn quite as much as my brown pair. Ah, rain and snow boots: the staples of any winter wardrobe. ;) I have two pairs that I wear regularly in the rain and two pairs that I wear regularly in the snow. I purchased a pair of the original Bean boots that doesn't have thinsulate or shearling lining, so they're great on the mild rainy days. I also have a pair of yellow rain boots—why not, right?! I always get compliments on them! I think my next pair will be hunter green, though, because it's a classic rain boot color! I have two pairs of Sorel snow boots to get me through the worst winter days. The black ones are perfect for everyday because they are easy to slip on and off, but I love my other pair with the faux fur trim for something a little more chic.